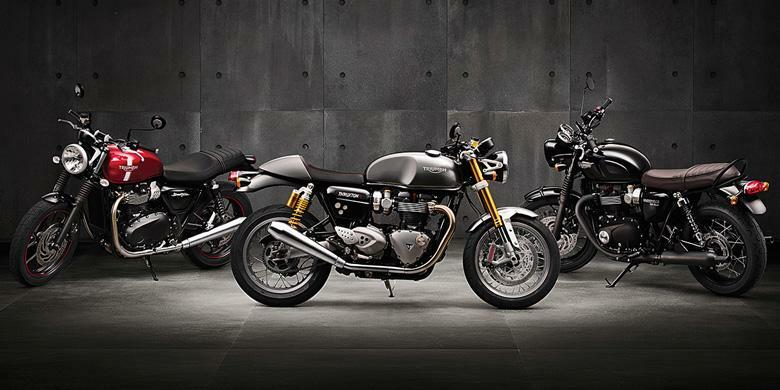 The famous British motorcycle manufacturer, Triumph have introduced the latest Bonneville family models in late October 2015 ago. The retro-looking motorcycles remain memorable as the 1950s motorcycles, but more and more able to adapt the modern civilization through a number of updates. 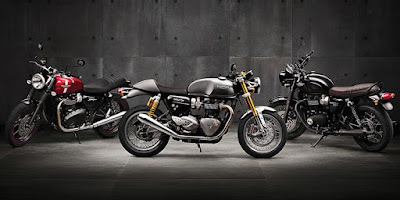 In total there are five models were born to fill the row of Bonneville family, namely Street Twin with the engine capacity of 900 cc, and there are four models that hold 1,200 cc engine, ie the Bonneville T120, Bonneville T120 Black, Thruxton, and Thruxton R. The all-five motorcycles bring new technology and equipped with the radiator. 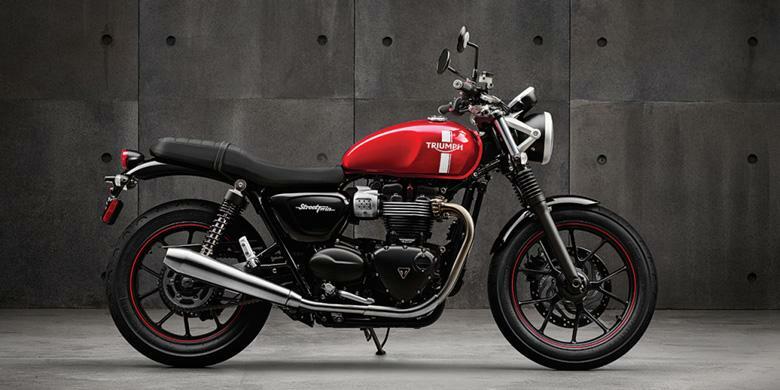 Triumph states that this engine has more power and greater torque than the old generation. Remarkably, even with a number of new technologies that make it more efficient 30 percent for Street Twin model, and a dozens of percent to 1,200 cc models. Although at first glance the appearance of the latest version is not much different from its predecessor, but when examined more deeply, much has changed, especially the use of a new chassis that is claimed to be more supportive of agility and riding comfort. For some fans, liquid-cooled engine was not anything great. Precisely sadness that may arise. Bonneville is a part of history, just as Harley-Davidson was sold not because of technology or resilience, but because of pride. However, the European emissions regulations make Triumph felt there was no other choice. The Euro4 minimum standards for motorcycles make the old engines should be evicted to meet those needs.